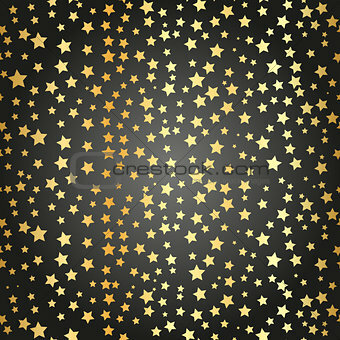 Image Description: Abstract black modern seamless pattern with gold confetti stars. Vector illustration.Shiny background. Texture of gold foil.